because it is dumb to his dull perceptions. What is an Animal Rescuer? I think it's important to understand that when you hear the word rescuer, it means volunteer. It's you, me and anyone with an open home or heart to help one in need, human or animal. In the case of an animal rescuer, we open our homes or find foster homes, just like with kids, that can offer shelter to an animal in need. What does a rescuer do? Well, in the underground world, we read thousands of emails of animals facing death sentences everyday. At first you cry a lot and then you go into action and get involved. A rescuer will take in a stray animal or dog that’s on its way to the pound. A rescuer will walk the cold or hot cement shelter floors, listening to the cries of sadness and barking from scared animal, begging to be noticed and rescued. We see animals curled up in the corners, afraid or depressed. Others so hungry they’ll eat anything deposited on the cold cement floors. We ache, but we keep walking. We talk to ourselves asking questions like what is wrong with people and how could someone so cold hearted abandon their animal at a shelter. We get teary eyed at all the faces of the animals we know we just can’t help. Finally with heavy hearts we make our choices of the animals we know on that day we can help, financially and emotionally until we find them a new loving home. If an animal has been fixed you fill out the paperwork, which takes awhile, and drive off with a scared friend you’ve never met. Neither of you knows each other. If an animal is unaltered (not spayed or neutered) they are sent to a clinic the next day and you pick them up, usually half asleep and take them to another vet for a check up. If they have picked up a cold, known as kennel cough, they must be quarantined at a veterinarian with a quarantine area, or a boarding facility with a quarantine, or someone’s home who has no animals, so as not to make other animals sick. If they have mange it needs to be treated along with quarantine as well. Then we have boarding costs, feeding costs and medical expenses. If they have broken limbs they must be operated on and so on. We then have to get to know the animal. Are they friendly? 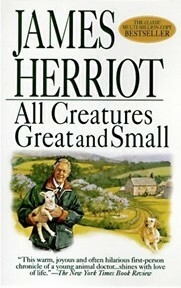 Do they like people, other animals? What can we tell someone about them? Do they need minimal training or extensive training? Are they housetrained? How old are they really? What breed or mix are they really? We visit them at their quarantine’s as much as possible, take them for walks, play or just sit with them to get to know them, them us, and to make sure they know they have been saved and are loved! 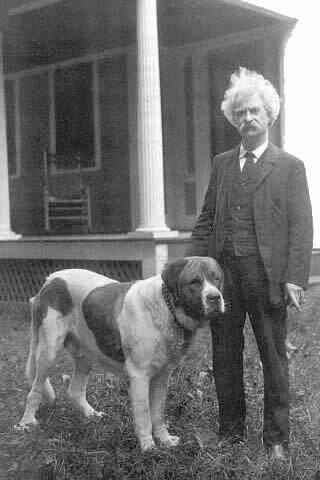 I had one dog named Toby, my new poster boy for homeless pets that was so sick from kennel cough,, so depressed he just would not eat or get better, even after 21 days. I finally said "enough!" It was on Good Friday, the daily trips to vet were taking too much time out of my days and work. I took him home and kept him comfortably in my dining room, much to my other dogs surprise. He was loved, he was in a home and he was healed in days! We have to make flyers with their story and photograph, posting them wherever we can in pets stores, grooming parlors, hair salons, emails and so on. Then we have adoption days. We have a designated place, maybe a pet store, or an adoption fair, where we take our homeless canines and kitties and set up a small adoption area. We set up playpens, water bowls and so on. In the summer months you hope to have misters to offer some reprieve from the sweltering summer heat. When someone is interested in one of our friends, we ask questions about their home, fenced yards, work hours and what kind of a companion their looking for and the time they have to spend with them. We ask them to fill out questionnaires about themselves, so we can best decide who’s correct for the dog and who the dog will get along with. Older dogs are happy to have a warm place and love. Younger dogs need to be exercised more and sometimes need more training. All of these things must be taken in to consideration. Puppies, people forget they need it all; house training, simple obedience classes and a lifetime of commitment and love. Our job is healing abandoned hearts, bodies and match making. When we finally select their families, we drive our furry friend to their new strange home with anticipation in our hearts. We walk the yard and look for places they might escape. Once we've done our home check, paperwork, taken the final picture of the new family, we must give a last hug and drive away. we usually cry. Not necessarily because we are sad, but because we gave so much of ourselves, saved a life, our job is complete, they will be sorely missed. Now we must switch our thoughts and focus on the next one. Millions of cats are killed in shelters and humane societies each year, for lack of space. Thousands more die as strays from accidents, disease, and at the hands of those who call them a “nuisance.” Too many kittens are born, resulting in more cats than people to care for them. 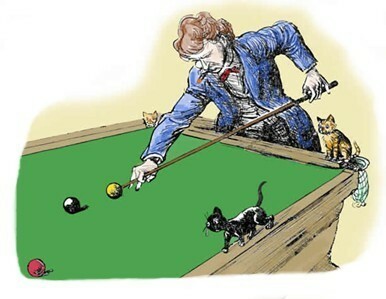 Alley Cat Rescue looks to solve this problem through its innovative adoption model that not only provides an additional outlet for placing the local “surplus” cat population in adoptive homes, but also includes an aggressive spay-neuter program and increased public education. Alley Cat Rescue (ACR) works to protect cats on several levels: locally through rescue, rehabilitation and adoption of cats and nationally through a network of Cat Action Teams, called CAT. ACR is dedicated to the health, well-being and welfare of all cats: domestic, stray, abandoned and feral. Promotes the welfare of all cats: domestic, stray, feral and wild. Operates a model no-kill rescue and adoption program that can be emulated throughout the country. 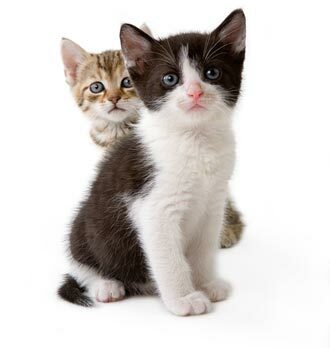 Promotes the early-age spay/neuter of kittens at 6-8 weeks old. Assists groups and individuals to help rescue and place cats. 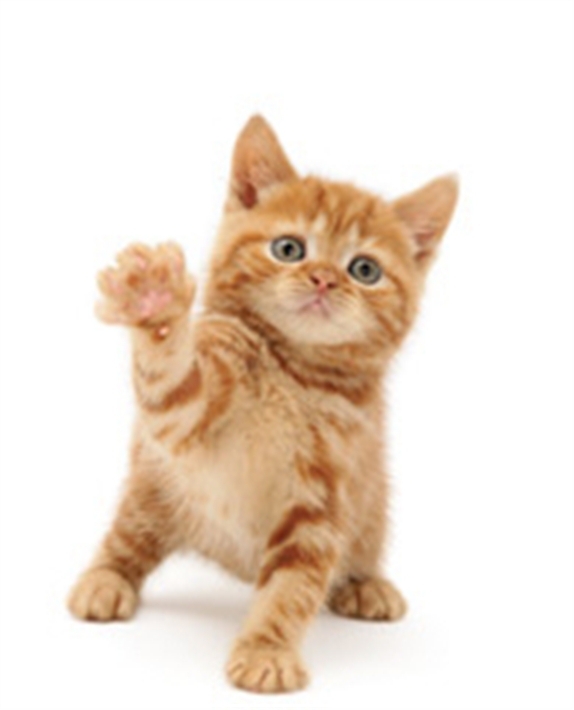 Assists caretakers with cat behavioral problems so that cats remain in their homes instead of being relinquished. Helps to promote a better understanding of feline diseases such as feline leukemia and feline immunodeficiency virus. Provides hospice care for terminally ill and older cats. Keeps cats out of the sheltering system, thus reducing euthanasia rates. Advocates the sterilization of feral colony cats Provides information to colony caretakers on all aspects of Trap-Neuter-Return, including rabies control and issues surrounding wildlife and predation. ACR provides information to others, and is actively involved in the rescuing and rehoming of domestic cats. We manage feral cat colonies and support and coordinate national projects to help save cats lives. ACR believes that all so-called "pest", "nuisance", and "exotic" animals should be treated with kindness and compassion. Please become ACR's partner and help put an end to the senseless killing of cats. Together we can also stop the overpopulation of feral cat colonies, as well as reduce their suffering. may be a perfect home, perhaps,but how can it prove title? The bat is one of the planet’s most misunderstood and mistreated mammals, so United Nations Environmental Program (UNEP) together with the Convention of Migratory Species (CMS) has launched a two-year campaign to raise awareness on bats starting from 2011. There are more than 1,100 bat species around the world. Insectivorous bats eat insects that can harm crops, so it is a friend of the farmers. 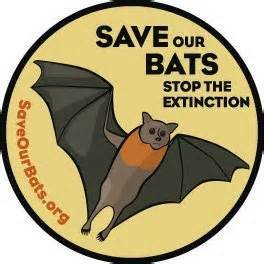 When these bats decline in number, demands for dangerous pesticides grow, as does the cost of growing crops like rice. 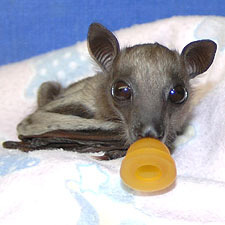 Fruit and nectar-eating bats are equally important in maintaining whole ecosystems of plant life. In fact, their seed dispersal and pollination services are crucial to the regeneration of rain forests which are the lungs and rain makers of our planet. Some bats must be visiting your garden too. Observe these creatures of the night carefully from a distance when you see them next time. Bats have very specific dietary requirements, and should only be cared for by trained, rabies-vaccinated rehabilitators familiar with the various bat species and the nutritional profile of each species. If you're interested in volunteering to help bats, Bat World has a lot of information about how to get involved with hands-on bat care. If you are interested in bat conservation issues and how to help bats worldwide, please take time to visit the Bat Conservation International website. A bat is beautifully soft and silky; I do not know any creature that is pleasanter to the touch or is more grateful for caressings, if offered in the right spirit. I know all about these coleoptera, because our great cave, three miles belowHannibal, was multitudinously stocked with them, and often I brought them home to amuse my mother with. It was easy to manage if it was a school day, because then I had ostensibly been to school and hadn't any bats. She was not a suspicious person, but full of trust and confidence; and when I said, "There's something in my coat pocket for you," she would put her hand in. But she always took it out again, herself; I didn't have to tell her. It was remarkable, the way she couldn't learn to like private bats. The more experience she had, the more she could not change her views.